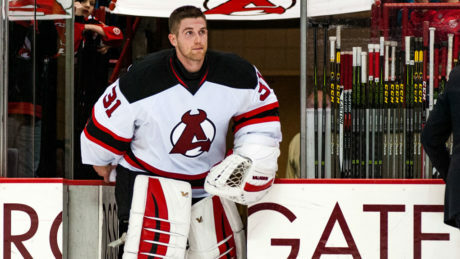 The fear of losing Scott Wedgewood has passed. 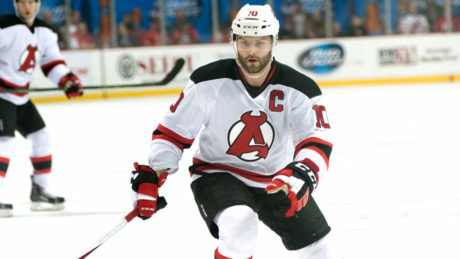 A new corps of players will try and fill a void left by offseason exits. 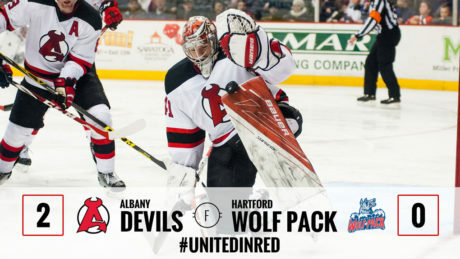 Ken Appleby’s 26-save shutout performance helped the Devils to a 2-0 victory against the Wolf Pack Sunday at Champions Skate Center in Cromwell, CT. 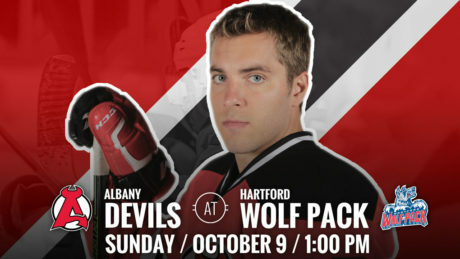 The Devils get to fine tune their game one last time during preseason action Sunday when they travel to face the Hartford Wolf Pack at 1 pm at Champions Skate Center in Cromwell, CT.
With still a couple of decisions to be made by the New Jersey Devils, here’s a look at how the A-Devils depth chart lays out. 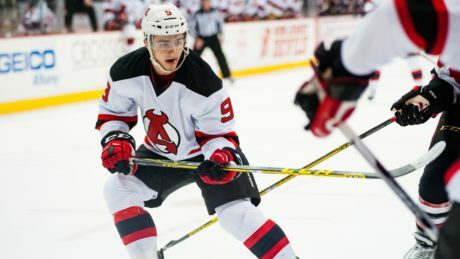 The A-Devils received some offensive weapons Friday when Joe Blandisi and Nick Lappin were assigned to the AHL. 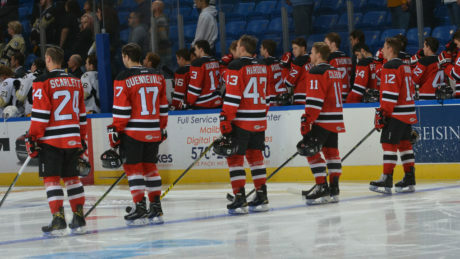 Four power-play goals helped the Devils to a 4-1 preseason win at Wilkes-Barre/Scranton. 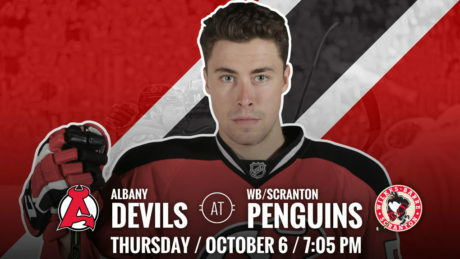 What to expect during the Devils preseason game at Wilkes-Barre/Scranton Thursday. 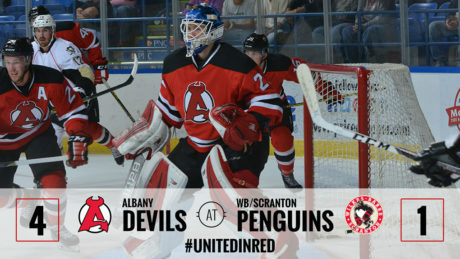 The Albany Devils will make the three-plus hour bus ride to Pennsylvania for a 7:05 pm preseason contest against the Wilkes-Barre/Scranton Penguins Thursday at Mohegan Sun Arena. 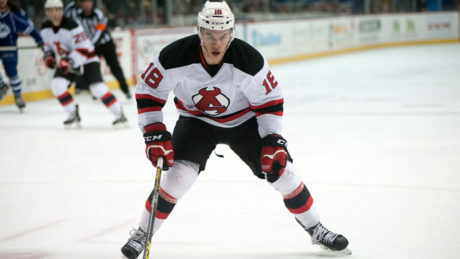 The New Jersey Devils assigned six players to Albany Tuesday. 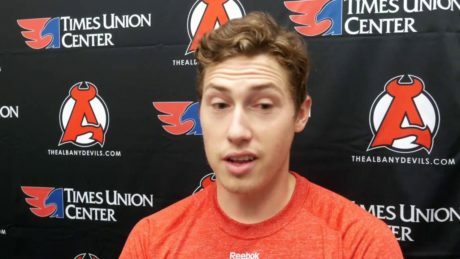 Clifton Park Native Patch Alber is attending A-Devils’ Training Camp on a professional tryout.